You can’t approach customers one-by-one to tell them your business’s story. So how can you get your message across without wasting precious time? The answer lies in a marketing brochure. If done correctly, this type of collateral resonates strongly with customers and can be the deciding factor between calling you…or your competition. But don’t be mislead: Not any old brochure will do. 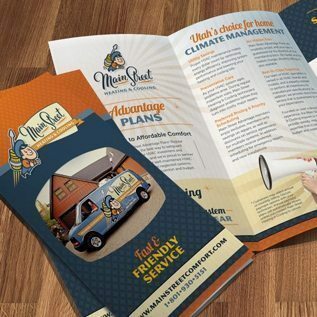 To be effective, a brochure needs to leverage the brand story that defines your company. And what better team to create your brochure than the small business branding experts? The first step is determining the end goal for your brochure. Are you trying to increase signups for your maintenance agreements? Do you have a new product to promote? These questions and others will be the starting point for design and content. This process allows us to craft beautiful, brand-centric pieces that are backed by a clear purpose. No generic images or fluffy content. Just strategic, eye-catching collateral. 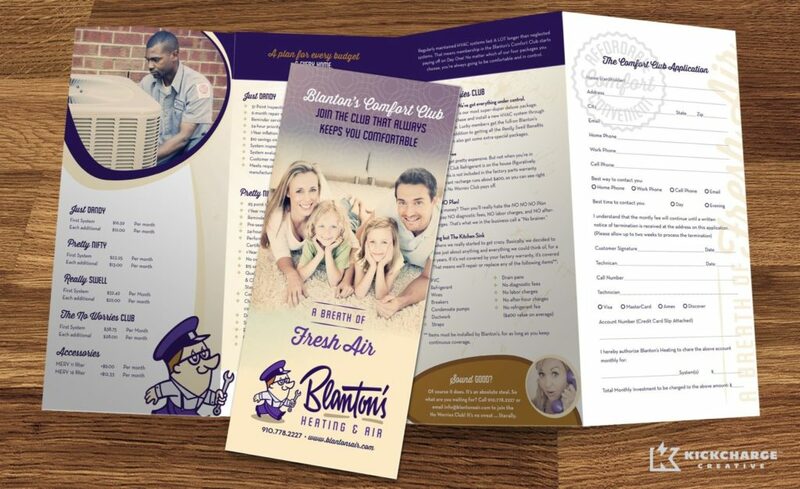 We can also customize the size of your brochure according to your needs. 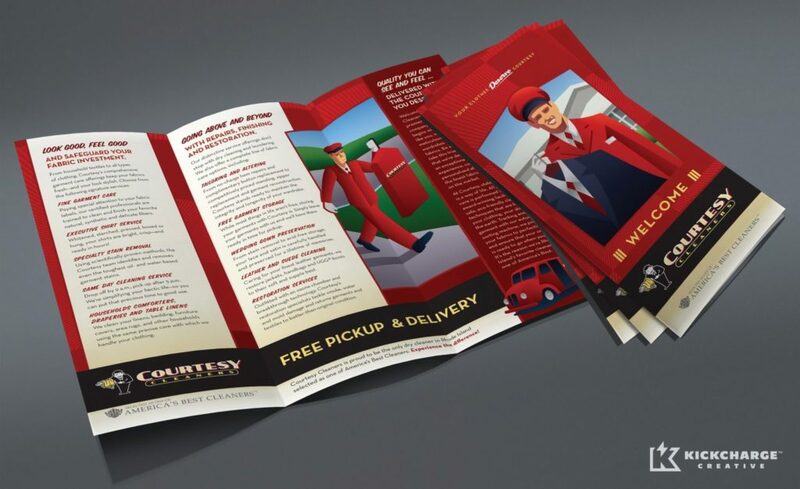 If you want something concise, trifold brochures are smaller pieces that have big impact. 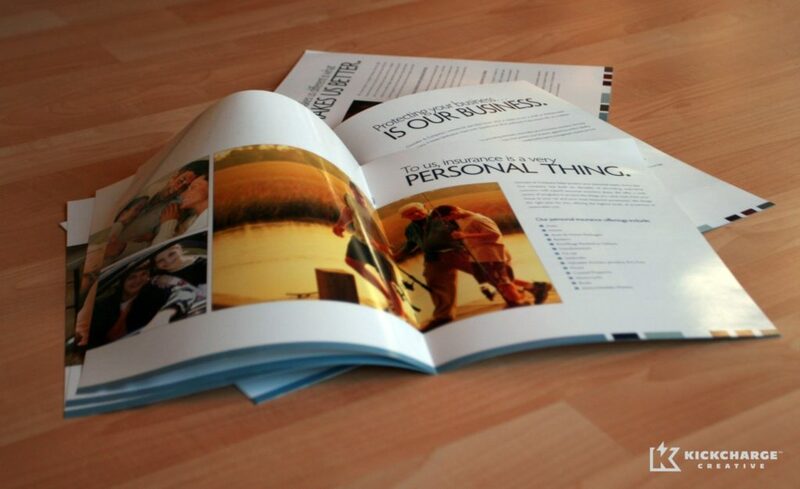 Or if you have a lot to say, we’ve created brochures for clients that are 20+ pages. Whatever you need for your business, we’ll make it happen. Brochures aren’t always meant to drive immediate action. Often, it’s just a matter of planting the seeds so customers will remember your business first when the time comes. And nothing will come to mind faster than your standout, beautiful brochure from KickCharge® Creative. To learn more about our brochure services, contact us online today or call us at 800.836.4666.